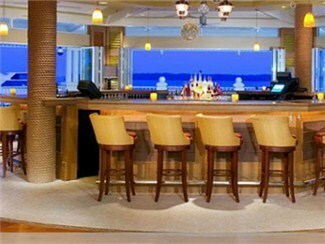 Try Charley’s signature cocktails, tapas and flatbreads while enjoying San Carlos Bay views. Whether you’re seated inside around the polished wooden bar or outside with a warm Gulf Coast breeze caressing your face, the water views at Charley’s are simply spectacular. That’s all the better to enjoy Charley’s signature martinis and local favorite cocktails, plus delicious tapas, brick oven-baked flatbreads and late night menu selections.